Penti, a Turkish lingerie and swimwear retailer, opened its new store in Bar, Montenegro, on the 26th of January. The unit is located at no. 33 Janka Tomaševića Street, offering a wide range of hosiery, lingerie, sleepwear, swimwear and accessories for women, sold at a medium price range. 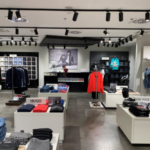 At present, Penti operates one more mono-brand store in Montenegro, located within the shopping center Mall of Montenegro at no. 74 Bulevar Save Kovačevića Street in Podgorica. Penti is a fast-growing fashion retailer, currently present with around 300 stores in Turkey and around 106 units in 29 international markets. The company also exports its products to over 40 countries worldwide and operates sales offices in the United Kingdom, Romania, Ukraine and Spain. The brand launched its first store in Istanbul in 1999 and has since then become a well-known retailer on the undergarment and lingerie market in Turkey, as well as internationally. Its offering encompasses a wide assortment of stockings, tights, socks, underwear and swimwear, complemented by accessories ranging from scarves, handbags, wallets and sunglasses. Penti expands through company-owned stores and franchise units ranging between 40 and 120 sqm in size. 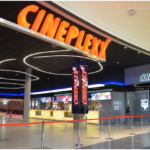 Its main locations of interest include shopping and outlet centers, retail parks, department stores and highly frequented streets in major cities. In 2007, the retailer launched an e-commerce website. Within the South East Europe region, Penti is present in nine markets - Albania, Bulgaria, Kosovo, Bosnia and Herzegovina, Croatia, Macedonia, Montenegro, Romania and Serbia. The company’s main regional competitors in the field of lingerie and beach items are the international retailers Calzedonia,Tezenis, Intimissimi, Extreme Intimo, Women’s Secret, Lisca and Jolidon. View the full assortment of Penti on their official website. To find more retailers active in South East Europe, visit our Company Database page.